Preheat oven to 375 degrees. Brush 2 baking sheets with oil; set aside. In a wide, shallow bowl, whisk together eggs and 2 tablespoons water. In another bowl, combine breadcrumbs, 3/4 cup Parmesan, oregano, and basil; season with salt and pepper. Dip eggplant slices in egg mixture, letting excess drip off, then dredge in breadcrumb mixture, coating well; place on baking sheets. Bake until golden brown on bottom, 20 to 25 minutes. Turn slices; continue baking until browned on other side, 20 to 25 minutes more. Remove from oven; raise oven heat to 400 degrees. Spread 2 cups sauce in a 9-by-13-inch baking dish. 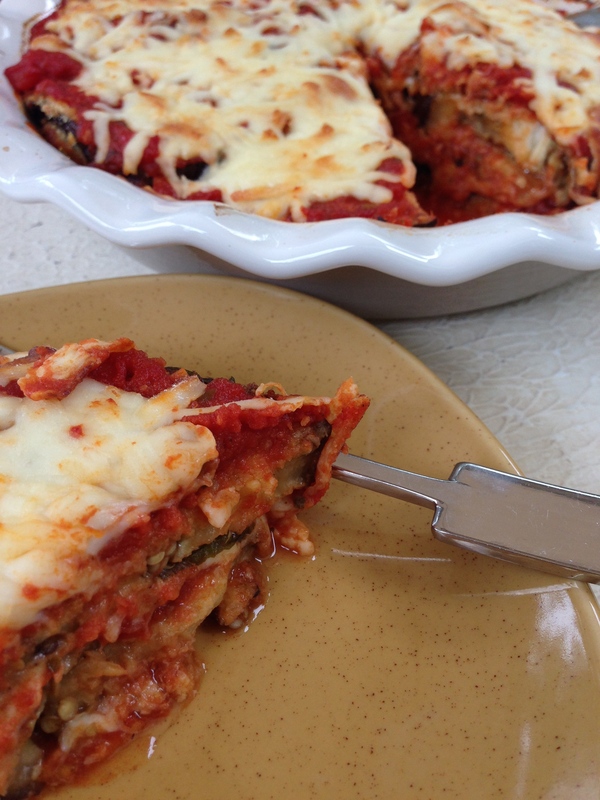 Arrange half the eggplant in dish; cover with 2 cups sauce, then 1/2 cup mozzarella. 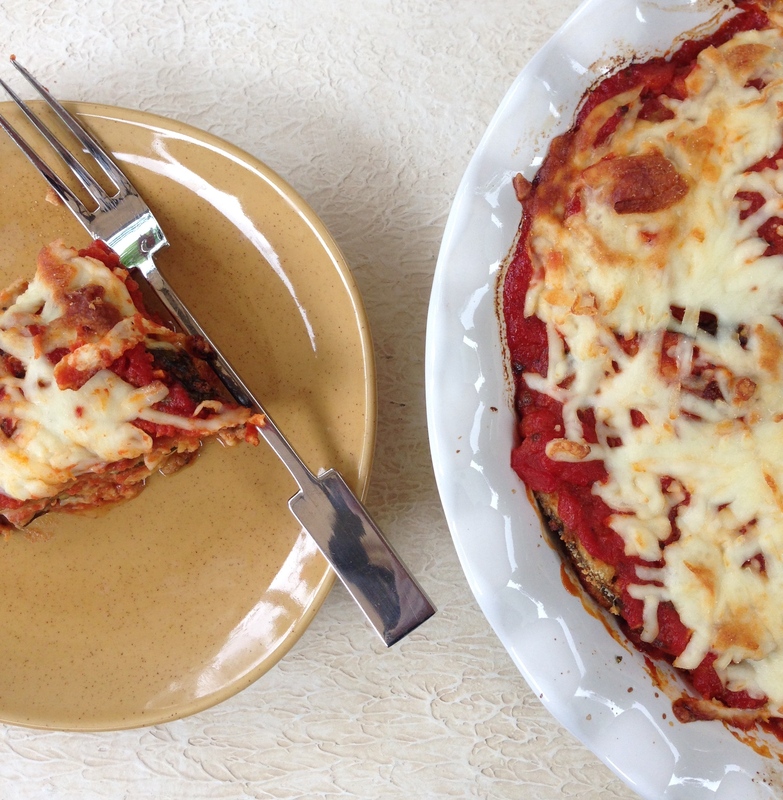 Repeat with remaining eggplant, sauce, and mozzarella; sprinkle with remaining 2 tablespoons Parmesan. Bake until sauce is bubbling and cheese is melted, 15 to 20 minutes. Let stand 5 minutes before serving.